A stray bullet broke two bottles in a nearby bowling alley but no one was injured Tuesday evening when gunfire broke out during a road rage incident in the North Center neighborhood, police said. No arrests have been made. 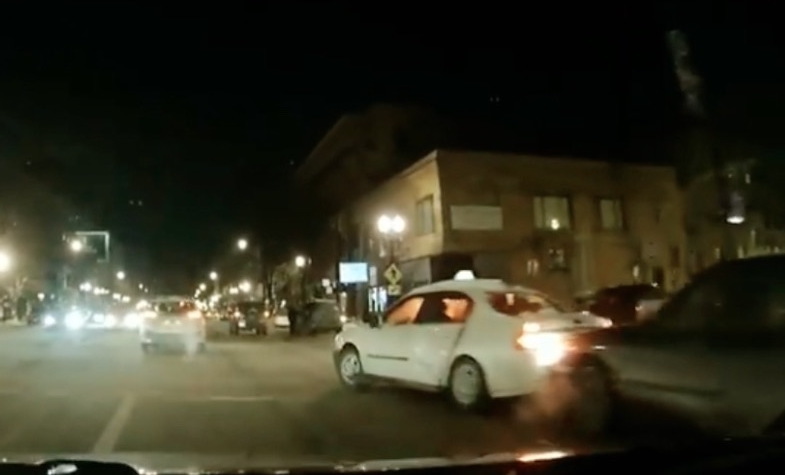 A motorist’s dashcam video captured images of the conflict. Police received multiple calls of shots fired in the 1900 block of West Irving Park Road around 7:25 p.m. with between six and nine shots reportedly fired. The shooting involved two drivers who were apparently involved in a traffic dispute or collision about a block east of the shooting scene. Mikey Shin’s dashcam was rolling as the events unfolded. In the video above, two cars enter traffic on Shin’s right. The vehicles appear to be connected at the bumper, possibly because one vehicle ran into the other and became stuck or because the second driver was intentionally riding on the first car's bumper as a form of intimidation. The two cars zoom down the block and then come to a stop near Damen Avenue. Shots are fired, the second car reverses and speeds away eastbound. Management at Timber Lanes called 911 to report that a bullet flew through their front window and shattered two bottles inside the bowling alley at 1851 West Irving Park. Police said the shooter fled the scene on foot. He was described as a black male who was wearing a reindeer-patterned sweater, a black bandana or hat, gray or white pants, and black shoes. He was last seen heading northbound on Damen on foot. “Ironically,” Shin joke later, “Talking Heads' [song] Psycho Killer is playing on my radio” as the shooting unfolded.